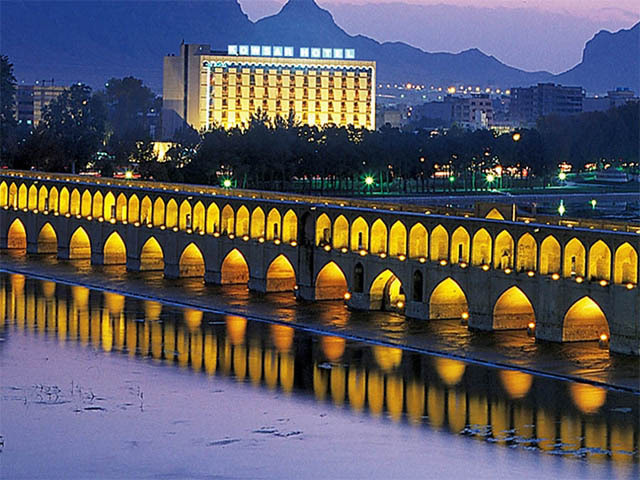 sfahan Piroozy Hotel (Four Stars) is located in the center of turquoise domes, with more than 40 years of experience, proudly announced, ready to present a travel which cause rememberance to you to the land of literature and art. The location of Piroozy hotel is next to the Chehel-Sotoon palace (5minutes), and the shortest distance to Naghshe-Jahan great complex, including Imam mosque, Ali-Qapou palace, Shaykh-Lotfallah mosque and, Isfahan big bazaar (8 minutes), Hasht-Behesht palace (5minutes), Chahar-Bagh mosque and school, and Honnar Bazaar(10 minutes), Natural Historical Museum (Taymury Hall), Contemporary and Decorative Arts museums (5minutes), Ali-Qoli-Aqa historical complex which includes mini bazaar and bath and mosque(10minutes), in green side of ancient Chahar-Bagh, an avenue in which, Shah-Abbas-e-Safavi had been walking about 350 years ago, an avenue which leads you to beautiful Zayaddeh-Rood river and beautiful and historical bridges such as Si-O-Se-Pol, Khajoo, Marnoon,… . You can select a room among 96 available rooms in the hotel, based on your favour including 2 and 3 bedrooms and different suites (equipped with the latest facilities), and experience spring in any season of the year by using facilities of the hotel rooms such as tub, bath, sanitary servises, safe box, T.V set and satelite receiver, refrigerator, jacuzzi, and air conditioning system. facilities like connecting to the Internet (using wirless networks) and serving different kinds of bevereges are avaiable in the beautiful and royal lobby of the hotel. We are impationately waiting for you to present our hospitality in the pleasant air of Isfahan Piroozy Hotel, with the latest facilities and the most attractive and beautiful historical places in Isfahan.